A small section of the Appalachian Trial, Bluff Mountain is a near-constant incline with beautiful flora and great summit views. Though only two miles to the summit, this hike is not easy. This trail is fairly straightforward, climbing steadily to its summit at 1,276 feet. Four-tenths of a mile in, the trail to Punchbowl Shelter appears off the Appalachian Trail to the right; you are welcome to take the short, steep walk to check it out. Continue south along the path for Bluff Mountain until reaching the summit at just around two miles. 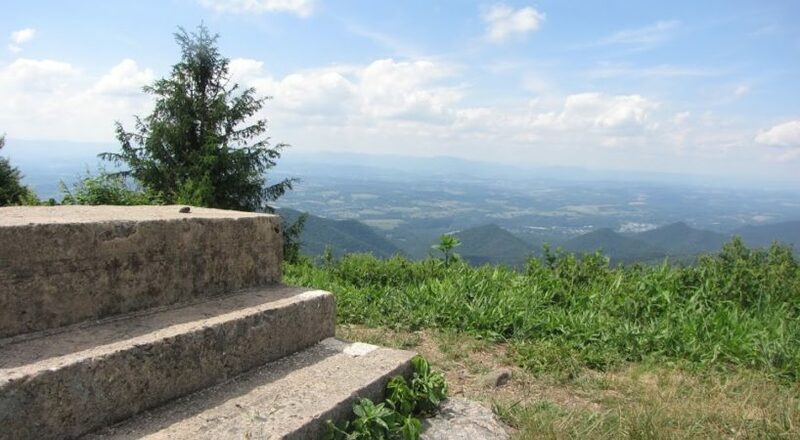 The summit was originally maintained by the Forest Service to aid visibility for the fire tower, whose foundation and steps still remain today. From the Lexington Visitor Center, drive east on Washington Street to a left at the stoplight onto East Nelson Street (US-60). Continue for 11 miles through Buena Vista to a left turn to enter the Blue Ridge Parkway, followed by another left to head south on the Parkway. Drive for 5.6 miles. The parking area is at milepost 51.7. To return to Lexington, exit the Blue Ridge Parkway at the Buena Vista exit, milepost 45.6. 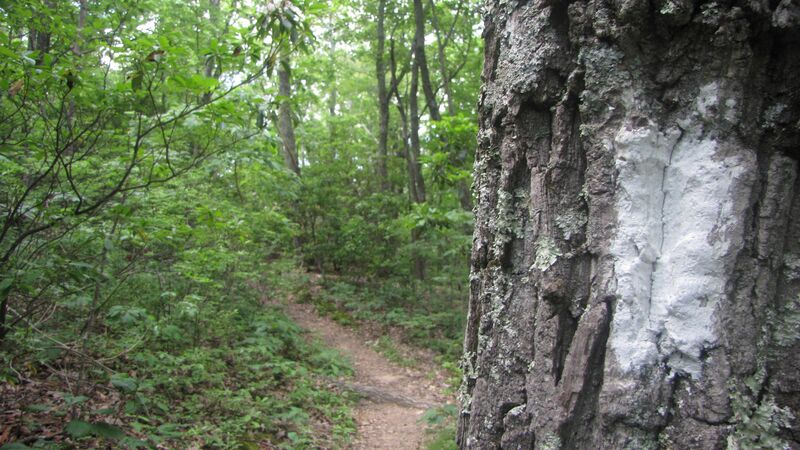 Because this trail is part of the Appalachian Trail, if you ever feel lost about which way to go, look for the white blazes marking trees every .1 mile. These indicators are found in the same frequency throughout the entirety of the 2,168.1 miles of the A.T. (You may even run into those hiking the entire length: Springer Mountain, Georgia, to Mount Katahdin, Maine!). 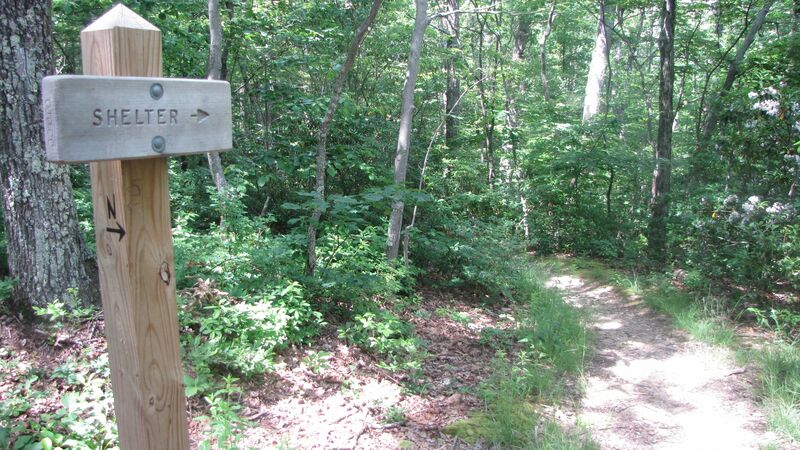 Find out more about the Appalachian Trail here. Cabin rentals are available near the trail. Make a cozy weekend of it! 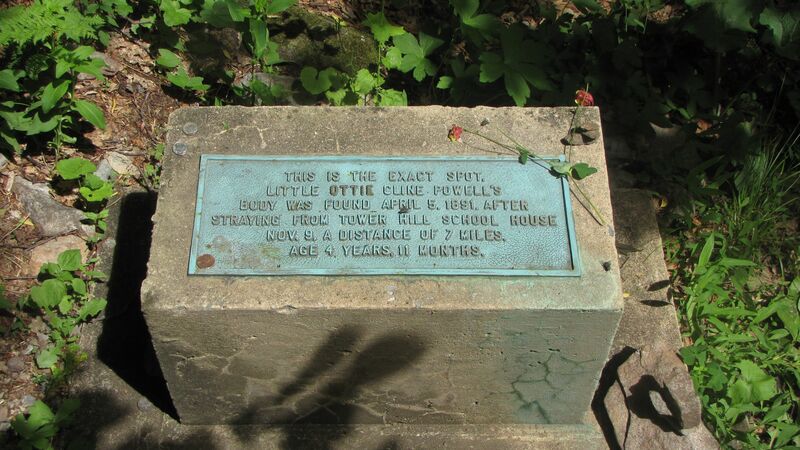 For those who are intrigued by a mystery, notice the historical marker at the summit of Bluff Mountain referencing four year old Ottie Cline Powell who wandered away from the Tower Hill Schoolhouse collecting firewood in November of 1890. To experience the mysteries of the supernatural, take the Haunting Tales Lexington’s Ghost Tour to cap of your evening.